Free Shipping Included! 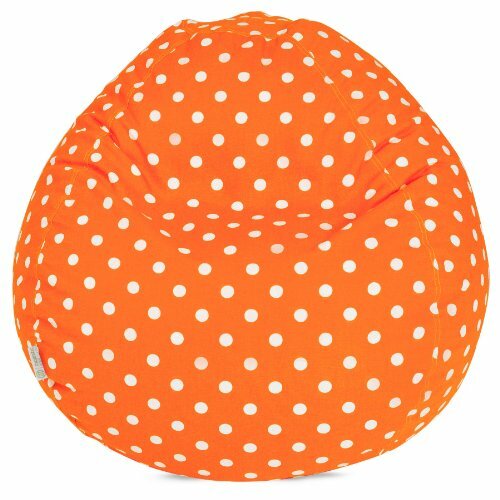 Majestic Home Goods Bean Bag, Tangerine Small Polka Dot, Small by Majestic Home Goods at Indsight. MPN: 85907214033. Hurry! Limited time offer. Offer valid only while supplies last. Decorate your child's room like never before with the modern patterns and colors of the majestic home goods tangerine small polka dot small bean bag. Decorate your child's room like never before with the modern patterns and colors of the majestic home goods tangerine small polka dot small bean bag. whether your child is laying back, playing with their toys or watching tv, they will be in complete comfort. the beanbag inserts are eco-friendly by using up to 50-percent recycled polystyrene beads. our bean bag's removable zippered slipcover is woven from durable cotton duck or twill and zips off for easy cleaning.